Dark discoloration of the skin under the eye is mainly referred to as dark circles. It is also known as dark rings or shadows. Dark circles are not a serious skin problem, but they make people look tired, exhausted, unhealthy and older. 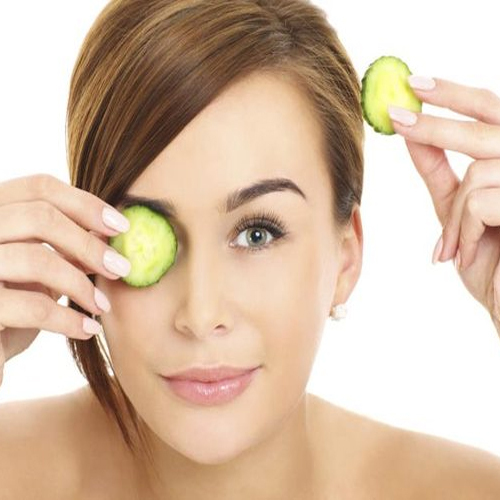 You can easily get rid of unsightly shadows under your eyes using some easy home remedies. It is a very good skin toner. Cut the cucumber into thick slices and place them in the refrigerator for 30 minutes. Remove them and place them on the affected area for at least 10 minutes. Wash it off with normal water. It will give you the best relief from dark circles. It is a common remedy used to tone the skin. This does not only remove dark circles but relaxes the eyes.